Congratulations are in order for DDXG members Duke W1ZA and Andrew K4PUF. 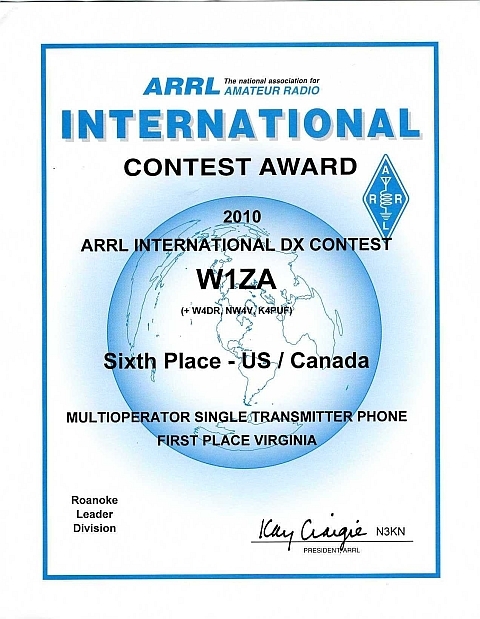 The duo, along with Bob W4DR and Ed NW4V won first place Virginia Section for the 2010 ARRL International DX Contest, in the multi-operator single category. 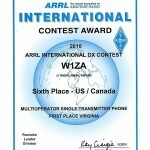 The team, which operated from W1ZA’s QTH, also placed 6th for North America (U.S. and Canada).